This jet black finished aluminum capsule from Dango Products is designed to be taken anywhere. It's small enough that it won't get in the way, and large enough to keep small EDC essentials protected from the elements. Waterproof up to 1000 feet. Machined from 6061 aluminum and food safe anodized. Equipped with Quad Loop Secure Cap for multiple tether options. 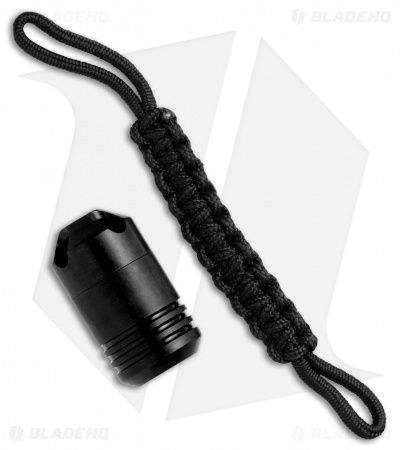 Jet black dual loop paracord included.